A lovely gift for someone who isn’t so girly, loves brighter colours in a classic style, or most commonly sent as a sympathy arrangement. 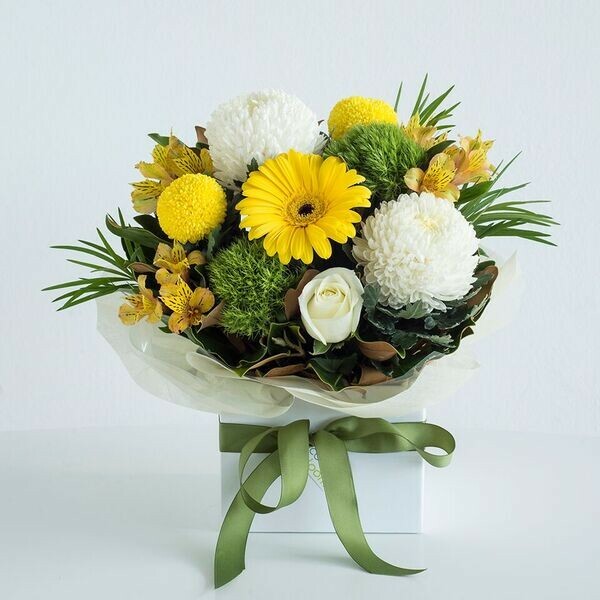 This is a mix of the best seasonal white and yellow flowers as picked by our florist, teamed with complementing foliage arranged into a classic florist’s box. Finished with a ribbon and comes with a complimentary gift card for your personal message.